i'm baaaaack... finally got everything squared away with my isp, and now, here i am! man, if it weren't for the fact that i have a bunch of stuff going on that depends on my pacbell email account, i would have ditched those bastards and gotten a cable hookup. but there you go. it's all good now. we had a ton of folks over for christmas dinner, less than one week after completely moving into our new home. stuff still in boxes, but nobody complained. for sides, we did twice baked spuds with cheese and sour cream and the rest was brought by la familia. we had so much food it wasn't even funny. we had family and a few strays my kids brought in over. it was good. i love the holidays and spending time with family. i wish i could have had my folks/brothers/sister down from washington and oregon, but it wasn't to be. that's ok. we still had almost 30 people here, so it wasn't like we were lonely or anything. add the spices and salt, and mix completely. in a mug, add a shot or so, (in our case, more or so than a shot), a heaping teaspoon of batter, and top off with boiling hot water. for a festive treat, add a cinammon stick as a stirrer. stir and enjoy. we killed a bottle of light rum in no time, and still had batter left over. guess you might say we used a tad more rum than the recipe called for. anyhow... hope everyone's holidays are going well. i still have until the 3rd of january to finish unpacking, then it's back to work for me. stole this from the sub bbs i hang out in. In Jerusalem, a female journalist heard about a very old Jewish man who had been going to the Western Wall to pray, twice a day, everyday, for a long, long time. So she went to check it out. She went to the Western Wall and there he was! to all. no net at the new house yet. won't get connected until the 27th...arrrrrgggg. so the move wasn't painless, but it IS over. of course, we have boxes and boxes of books, cooking gadgets, and the other detrius one gathers from a stationary life. it will take some time, but the place already feels like home, and that's a good thing. of course, my wife, while not exactly crazy, has hatched a crazy plot to get us fired up and moved in completely by christmas. she's invited the family over for dinner. that's family as in about 25 people from little tykes to geezers, and everything in between. so you can imagine the flurry of activity at our casa for the time being. if nothing else, it shall be an adventure. we brought the cats up from napa, and they promptly dissappeared for most of the week. sheba showed up first, looking like she'd travelled the entire length of the creek behind the house. spooky cat showed two days later, looking as fat and schizo as ever. it's good to have the cats back, because i told di that they would be and not to worry. lucked out again. hell, i thought we were going to be seeing another version of the incredible journey, with the two cats fighting their way back to napa. hope you all have a very merry and happy christmas/holiday season. i'll be jonesing for the web by the 27th in a big way, but then, that's the way it goes i guess. i am laughing my keister off. i think there is a better than even chance this guy will have a hell of a story to tell at the local tavern tonight. my wife and i slept in our new home for the first time last night. i must say it was a deep and refreshing sleep, after moving the approximately 4 tons of stuff yesterday. our boys, and my father-in-law and his brother helped move us. we FILLED a 24 foot U-Haul, and i still have several more trips to make with my pickup to get the rest. amusing happening: we were moving my home built rolling ammo locker. i under engineered the wheels, because the damned thing didn't want to roll with 30000 rounds of .22 ammo, 2000 rounds of .45 ammo, 2000 rounds of 9mm ammo, 500 rounds of .357 ammo, and over 10000 empty brass cases for the various calibers. i also had over 4000 lead bullets for reloading stuffed in there. so the poor wheels were not up to the task of rolling without unloading. i took a bunch of stuff out, and even then it was still heavy as hell. so we finally got it loaded on the truck. as we were off loading the thing, it started dropping .45 long colt casings through the opening at the bottom of the doors. it looked like a hansel and gretel fairy tale, except we were leaving casings instead of bread crumbs. my new neighbor saw this, and he started laughing. he thought it was pretty funny that i needed to lay a trail so that i could find my way back out front from the back shop where all my reloading stuff ended up. i think my wife has just about had it with me and my ingrained sloppy habits. she's been giving me the eye every time i make some comment like "oh, that can wait". hope she doesn't kill me before we get everything unpacked and put away. moving is not for the faint of heart, or those that are easily embarrassed. i took our bed apart yesterday. it is a pedestal captain's bed, with a 6 drawer chest as the foundation. as i was unscrewing it to disassemble the base, i noted a layer of dust so thick that it looked like someone had outlined the bed with powdered graphite. of course, it was just because the drawers stick out almost an inch and a half from the frame, so every time you vacuum, the cleaner only gets as far as the drawer's edge. for someone as "clean/neat" as my wife is about cleanliness, seeing that was like sticking a knife in her heart, and twisting it. glad it was just the guys helping us move, because guys understand stuff like that happens, with no judgements made about your ability to keep things clean. right now, the place we are moving out of looks like someone threw a large hand grenade into the middle of each room. oh well. got everything set up as far as water, garbage, etc. no internet for a week or so, but everything else is up and running. ahhh. now i'm not as old as say, a rock, or a redwood. but i'm coming to the realization that i'm no longer in the lower 25th percentile for age. my kid and i were talking about some of the developements i've witnessed growing up. i remember when the first telecommunications satellite TELSTAR was launched. my dad let us stay up and watch the launch (on our black and white tv), saying it was an historical thing. and when i was in high school, a scientist from Bell Labs had this big "get interested in science" presentation. i remember being facinated by the really cool colored lights he was bouncing off of mirrors, making beams of light take 90 degree turns and other visually captivating displays, like lighting a cigarette (!! on school campus), turning out the main lights, then blowing smoke across the beams to make them visible. he said they didn't know what they'd be doing with the laser, but wasn't it cool? hell, i can fill a page from what they can do with a laser, starting with using it to accurately measure the distance from the earth to the moon, and ending with turning up the volume on my compact disc player. i wonder what my grandkids will be taking for granted that we haven't even thought of yet. on the couch and they chat for a while. Marvin's mother replies, "I don't like her." Today, we mourn the passing of one of our finest men: The stand-up guy from the world of sports. actually, i lost any interest in pro sports when the ticket to a golden state warrior game went past $15.00, a trip to candlestick with my dad and my kids cost me over $140.00 to watch the giants play, and tickets to see the raiders, well, it just wasn't happening. and then they started going out on strike, and the tickets went even higher. why is it we can justify bad behavior in our celebrities, yet would freak out completely if it was our kid doing this sort of stuff? and if you have a kid doing this stuff, and you don't freak out, then you are part of the problem as well. and college ball? and college coaches are making multi-million dollar deals? tickets for a cal bears game...fuggetaboutit. i'll play sim-city with my time instead. what the hell happened to colleges providing an education, and not a grooming service for the pro ball teams? 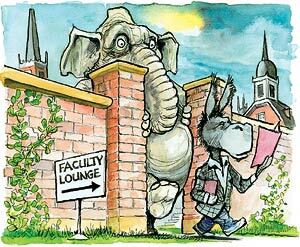 colleges are suppposed to be institiutions of higher learning, not NFL training camps. or NBA camps for that matter. we have our priorities so screwed up it's no wonder that the kids in the 8th grade throughout the entire country finished near the bottom in the entire freaking world in math skills. you want to do something positive? teach a kid how to figure the area of a triangle, not how to do a whoopty hoop slam dunk. You can't scare me. I raised two daughters. stole and adjusted the idea from a t-shirt i saw today: you can't scare me, i have a 2 year old. 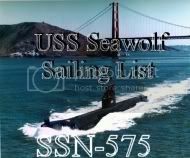 i have this bbs buddy, an old broken down submarine sailor (dig, dig, ping) by the name of sid. now sid is one of the really smart guys out there. he constantly comes up with stuff that i say "i wish i thought of that." or "i wish i had done that". i linked his news can when i first started a blog. so, anyway, he has amassed an amazing number of links and commentary about World War 4, and the chronological history of attacks on the us. check him out here. 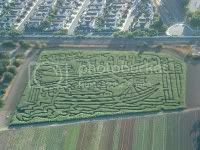 i've talked about the pumpkin patch, and the maze pop's grows for the maze company. well, here are three years of mazes. 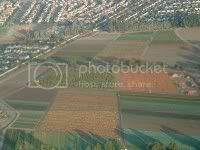 these pictures were taken by a news helicopter pilot. now i'd like to point out something that i found very interesting. look at how close the urban/suburban border is with the farm. 30 years ago, alameda county had 25000 acres of farmed land. today, there are less than 120, with half of them being pop's. these pictures only show the front half of the farm. there's more out back. 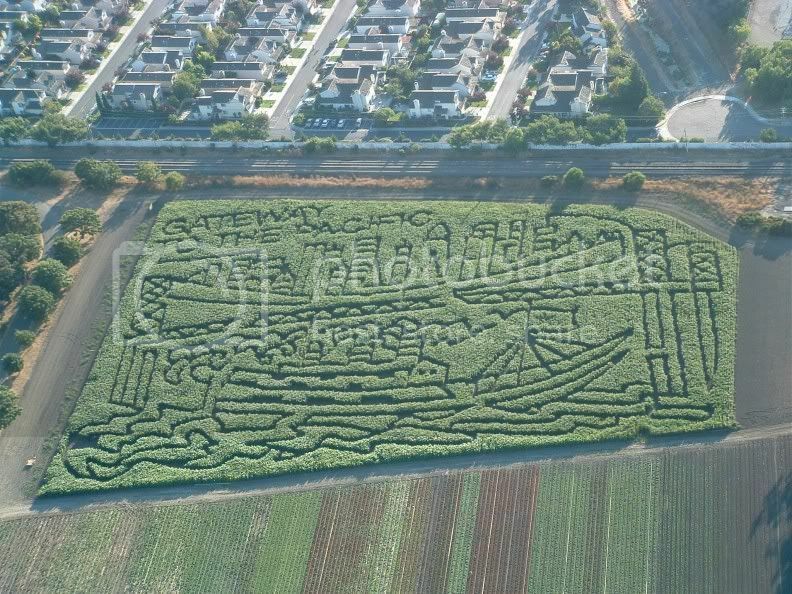 this is the maze put in for the 2002 season, probably taken sometime in late august, early september. here's 2003, and this picture was probably taken closer to the beginning of october. look at how full the field was. the varicolor crop bordering the maze is 7 varieties of organic leaf lettuces. and here is 2004. this picture was taken right at the beginning of october. 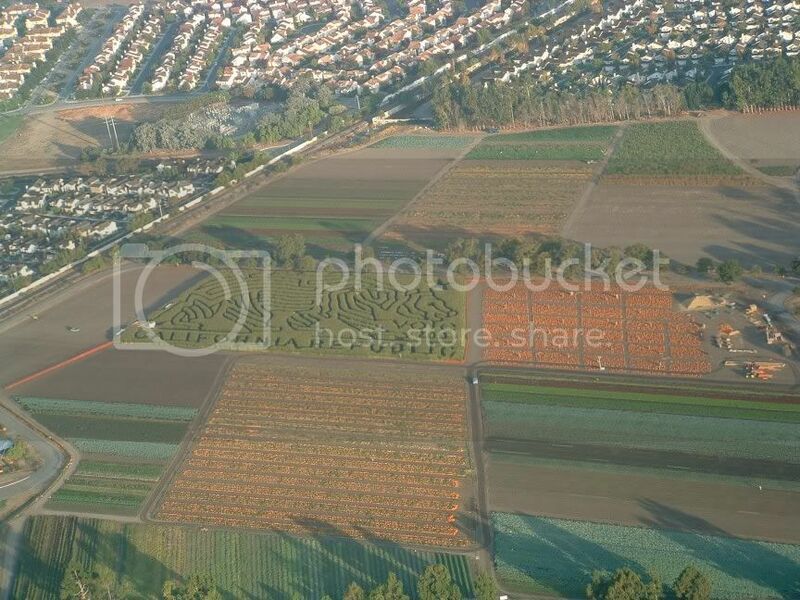 just to give a little perspective on how many pumpkins pops grows and puts out, the maze is 5 acres. 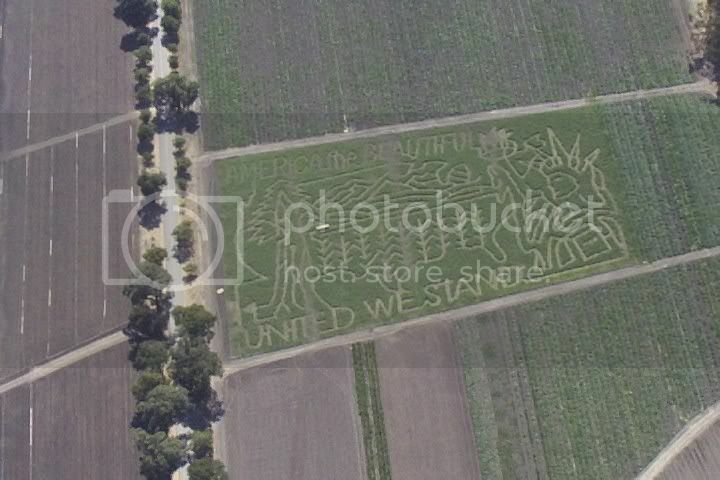 the patch is probably close to 4, and in the foreground you can see where some of the pumpkins were grown. he left them in the field until needed in the patch. i can't tell everything that was growing at the time, but a quick scan of the picture shows some of the following: corn, brocolli, cauliflower (3 varieties), red and green cabbage, 15 kinds of tomatoes, a dozen types of mellons, 4 varieties of summer squash, at least 10 types of winter squash, strawberrys, onions, radish, garlic, yellow and green beans, 9 types of peppers, cucumbers, peas (2 types), carrots (3 types), and 15 varieties of pumpkins. i probably left something out, but that's close. the fruit stand is to the left at the bend of the road coming into the park, lower left hand side of the picture, just out of view. i found this article while peeping at what's new over at the drudge report. seems there is a chemical compound that has been used to good effect on dogs with injured spines, restoring mobility to 68% of the dogs with paralyzed hind legs. clinical trials will be starting with humans once they get a manufacturer on line to produce the compound. wonder if it would help arthritis sufferers? when you read the article, you'll see why i hope it might, based on the way they think it works. i'd be in line for the trials if they thought there would be any relief for chronic back pain. based on what they think this chemical does, it may hold hope for the zillions of us "older" folks with back problems. guess i'll have to keep on top of this one. doing my daily sweep of the world's news sources, and ran across this one at The Economist. if you have ever read David Horowitz from Front Page Magazine, this shouldn't come as a real surprise. i find it interesting to see other sources are starting to report what has been an ongoing exclusion of all but the most liberal agendas at our campuses these days. no wonder the kids that come out of these institutions are so unprepared for the real world of work and responsibility, or that they have a completely skewed and unrealistic view of "how things work". oh geez, coffee in the sinus cavities again. let me quote Mark Steyn from an article in the National Review online addition. "Anyway, after a week of trying to turn the Democratic whine into holy water, the House minority leader decided to chuck the saint-dropping"
i've remarked before that i really like squash. this recipe was lifted and slightly modified from a newspaper food section last year. i tried it out on a couple of unsuspecting friends whom we had invited over for dinner. the he half of the couple was very leery of it, since he hates squash. final judgement: he ate it all, and asked if there was more. this is where i got the idea for my roasted pumpkin soup. 3 cups low salt chicken broth ed note: i like the swanson's brand of low salt broth. i think it tastes the best, and give the most consistant flavor of any of the many many brands i've tried over the years. or else, this would be a good time to take that broth out of the freezer that you made from the turkey carcass after thanksgiving. what? you didn't make broth and save it? shame shame. Heat the oven to 400 deg. Cut squash in half, roast on foil/parchment paper lined cookie sheet for 80-90 minutes, cut side up, until darkly roasted. Let cool until you can handle it to peel. Can be refrigerated for up to 2 days. editor's note: here's how i've found it easiest to cut these damned hard as rocks squash. with a sharp, heavy bladed knife, cut the top and bottom off of the squash. then stand it up on the now flat bottom, and using two hands, push the knife down the middle. keep everything above the blade, or else we'll start calling you stubs. once you've cut all the way down through the squash, scoop out the membrane (guts) and seeds. i like to put a little bit of olive oil on the cut surface before roasting, but that's my thing. Heat oil and butter in heavy soup pot over med heat. Sauté onion and salt for about 2 minutes, cover, sweat for about 3 minutes, until translucent. Uncover, and brown onions..about 5 minutes. Add cumin and coriander, stir about ½ minute. Add tomatoes and juices, cook for 2 minutes, lower heat and simmer for 10. Add peeled roasted squash and broth. Bring to simmer. Simmer for 30 minutes covered. here's a link to the flickr set for pictures of this recipe.